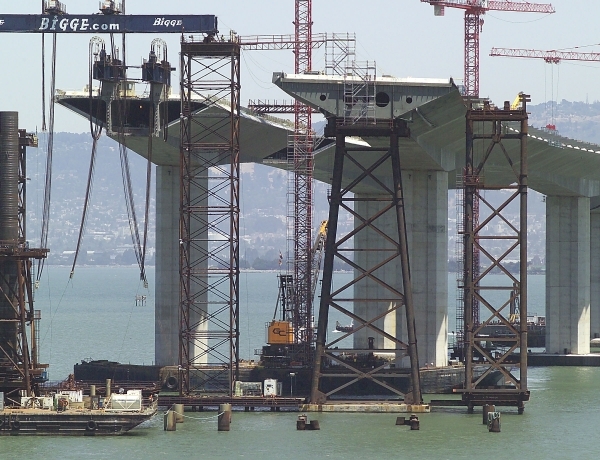 Bridge Erection Equipment | Jesse Co. Fabrication of large specialty erection equipment including False Work Towers, Cofferdams, Cable Compression and Spinning Equipment and Pile Driving Templates. 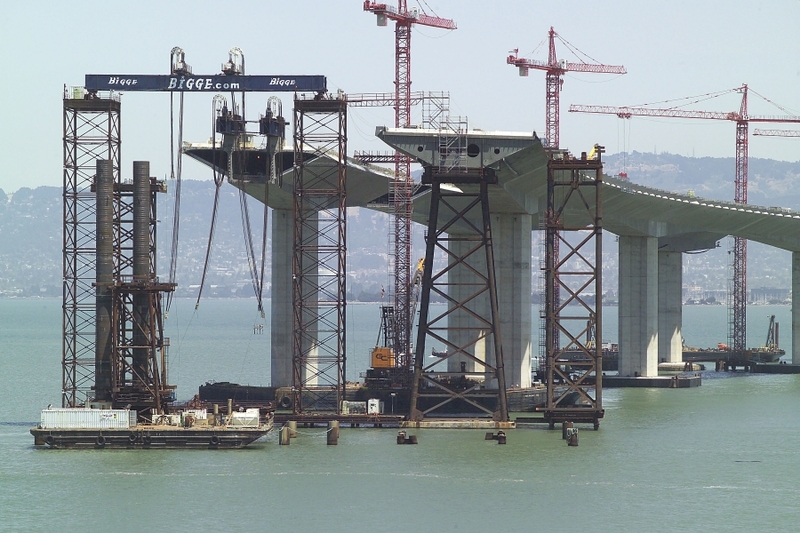 Highlights included 3 each 280 ton piling driving templates/guides with false work towers equipped with hydraulic pile positioning equipment which were shipped from Jesse’s water-side facility via barge directly to the job-site. Total weight 1,600 tons.